New clean and trendy WordPress Themes based on HTML5, CSS3, Bootstrap and SEO Optimized. Fully responsive design themes are great solution for Entrepreneurs, blogs and all kinds of businesses. The powerful Theme Options Panel paired with intuitive page options panels, a widgetable areas manager and a custom tailored Visual Composer, drag and drop page builder, provide you the tools you need to create complex websites without touching a line of code. You may be interested in the following articles as well. 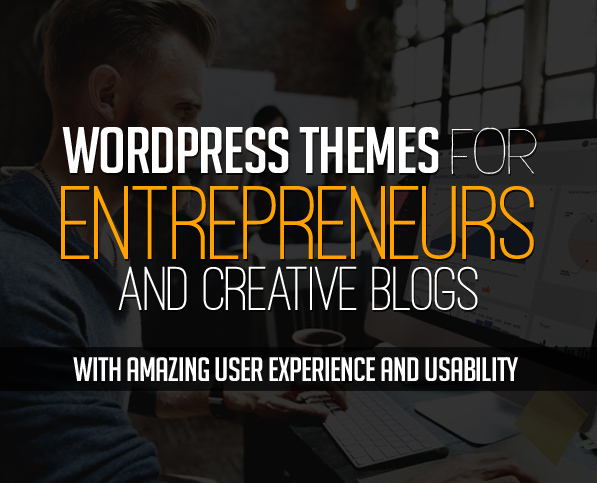 Premium WordPress Themes are Perfect for any Entrepreneurs, Blog or Magazine. Create any page using the Visual Page Builder and Addon’s and a lot of interesting things. Below every theme is ready to use, you can check live demo of each theme. Feelings is an exquisite personal blog theme created for WordPress blog writers. This theme can be easily installed to start your personal blog within one click. Feelings is fully responsive theme and will make your blog outstanding. Famili is premium flat, clean, super flexible and fully responsive WordPress magazine theme, best suited for magazine, news or blog websites. The theme builds on widgetized homepage with a lot of widgets with many style and 3 Sections. Which means you can build your homepage content by drag & drop modules into sections so you can combine unlimited style. Lucky Online Shop is a modern, clean and professional WordPress Woocommerce Theme, It is fully responsive, it looks stunning on all types of screens and devices. It is super for fashion shop, digital shop, games shop, food shop, devices shop, household appliances shop or any other categories. Mellany is a WordPress theme that lets you write articles and blog posts with ease. It is fully responsive, retina ready and has many powerful features. We offer great support and friendly help! The Mellany theme is excellent for a news, newspaper, magazine or publishing site. October is a Responsive One Page WordPress Theme for creative freelancers, designers, photographers, illustrators, web agencies or artists. It’s based on Bootstrap framework and HTML5/CSS3 technologies, with an elegant and modern design, clean and simple, fully responsive and customizable. Vocation – Creative Responsive WordPress Theme is a clean and elegant design – suitable for agency, blog, business, company, corporate, creative, portfolio, professional etc . It has a fully responsive width adjusts automatically to any screen size or resolution. Cooper is a fully Responsive, Professional & Multipurpose Personal WordPress Theme with scrolling page built to showcase your top-notch portfolios. This theme made for designers, photographers, illustrators, video producers , architects and other who need an easy, attractive and effective way to share their work with clients. Gatcomart is a new theme for fashion, digital, furmiture store with modern design. This theme include many great features like mega menu, slider, page builder, product quick view, wishlist, compare, zoom. It suits for your fashion store. You can show your product in nice ways like carousel sliders, tabs. With brand logos slider, you can show your product brands on home page. Supershop is suitable for e-commerce websites. We have included multiple layouts for home page, product page to give you best selections in customization. Supershop is not just a WooCommerce theme, we had a plan in order to develop Supershop for any kinds of websites: Business, Creative, News, Corporate. Upshot is an intuitive, flexible and powerful WordPress theme, designed to suit the needs of small businesses and creative professionals. Upshot is built with utility in mind, making your content pop with its ready made layouts. Milana is a very unique and creative multipurpose WordPress blog theme suitable for any personal and magazine blog. Theme has an elegant design with numerous options, that can help customizing your blog, changing fonts, colors, layouts, post views and more. Want to sale your products? Milana and WooCommerce are perfectly suited to each other. Mood is a modern, elegant pixel perfect creative multi purpose WordPress Theme based on Visual Composer. It puts a great attention to details, performance and flexibility. The perfect solution for all kinds of businesses and uses: corporation site, e-commerce, creative portfolios, magazine. Maxima is a modern, clean, and minimal WordPress theme for your next blog. Maxima is created for those who want to create a minimal and beautiful online content site or a personal blog. Every element is designed with simplicity and details in mind, and well-tailored to match your own taste. ePro is an advanced WooCommerce theme fully customizable and suitable for e-commerce websites of any purpose. The theme is characterized by universality, attractiveness and easy customization. With the gradients, unlimited colors and Google Web Fonts you can create your dream shop in few minutes. In addition, we have created for you 9 basic skin version that you can further edit. Agency is a sleek and attractive, modern and engaging, easy to use and profoundly intuitive, rapidly responsive WordPress creative website theme. Designed for Magazine, News Portals, Personal or commercial blog. Can be modified heavily for extended use. Ultimate monetization with unlimited ad areas. Show ads everywhere!! Be social with built-in social widgets. BlogMag WordPress Theme is designed specially for those who not want compromises, like the clean, modern, minimalist looking, and want to make a great news or magazine website. It has dozens of impressing features that will make your blog or magazine exceed among others. Finance+ is a Clean and Modern WordPress Theme for Corporate Business Website like Financial Advisor, Consulting Agency, Consulting Firm, Loan/Tax/Investment Firms, Attorney/Lawyer Firms, Insurance Firms, or any other Corporate Business Portfolio and Service Websites. Built with Latest Drag and Drop Visual Composer Page Builder and Customizer. HostWHMCS is a Responsive Hosting and WHMCS WordPress Theme developed for All kinds of Technology Business, Domain & Hosting Business. WHMCS Integration and Fully Compatible with WHMCS Bridge. HostWHMCS is a theme for technology and software businesses as well as for web hosting companies. SEO Grow is a multipurpose SEO WordPress Theme especially for SEO, digital marketing industry and relevant businesses. TheAnd is a super responsive WordPress theme with multiple home page versions. It has super power of usability for multipurpose websites as like as portfolio, business site, blog etc. By using And you can design your site’s layout as you want, because it has extreme user friendly Redux framework and Visual page builder. Business Class was build with search engines in mind. It is a flawless multi purpose theme with more than 120 settings. It’s a perfect responsive and gorgeous SEO friendly and SEO optimized WordPress business and corporate theme – It has all meta tags, SEO plugin collection, perfect page speed and on-page SEO together with a slick responsive design and fully optimized clean light code. BusinessClass is fully responsive, mobile optimized and retina ready. PASCO is an incredibly thorough Multipurpose WordPress theme, packed with features and options and pre built templates you can literally build any kind of website imaginable. You can have a fully equipped website up and running within just a few minutes. PASCO is not just a theme, it’s a collection of amazing examples with tons of features. BugsPatrol has modern and functional design with lots of features for creating Pest Control website. The theme will perfectly suit for professional teams providing commercial, construction and domestic pest control services, individual pest control inspectors, extermination services or other bugs control and removal services. With design and accent in details Start Hub is perfect template. Design have beautiful typography and elegant structure.WordPress Theme is based on Warp 7 Framework and made for all who wants a lightweight and modular website.